I captured this image of upper Yosemite Falls in the mid-afternoon. 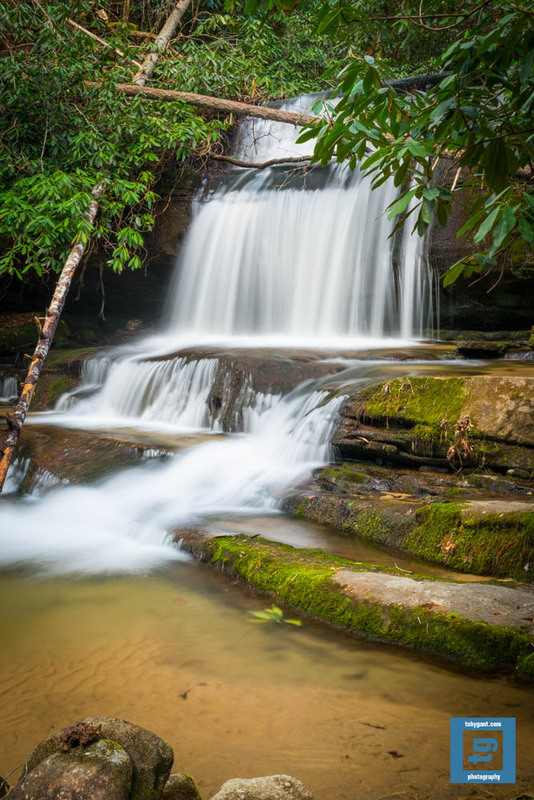 (Anyone that follows my blog knows that I prefer to shoot falls in the golden hour. ) I think it is hard to get a terrible image at Yosemite at any time of day. I captured this image using my 24-70mm f/2.8 tripod mounted. Thanks for stopping by. This is one of my favorite captures of Half Dome from my Yosemite trip. I processed a black and white version of it that I prefer. But, I decided to publish the color version online. I captured this image using my 24-70mm f/2.8 tripod mounted. I hope everyone was able to get out and enjoy the outdoors. Thanks for stopping by. San Diego was one of the destinations on my recent trip to California. I captured this image of sea lions enjoying a rest on the beach in the Village of La Jolla, California. I captured this image using my 70-200mm lens handheld. Thanks for stopping by. I captured this image of Yosemite Valley at sunset. Swirling clouds between the setting sun and the valley did not permit me to capture the faces of El Capitan and Half Dome fully “lit”. However, I do think the shadows the clouds created lend some interest to the scene and they also put more emphasis on Bridal Veil Falls. (Which I believe that anyone that follows my blog knows I tend to favor waterfalls.) I hope everyone finds an opportunity to get out and explore for themselves this weekend. I captured this image using my 24-70mm f/2.8 lens tripod mounted. Thanks for stopping by. 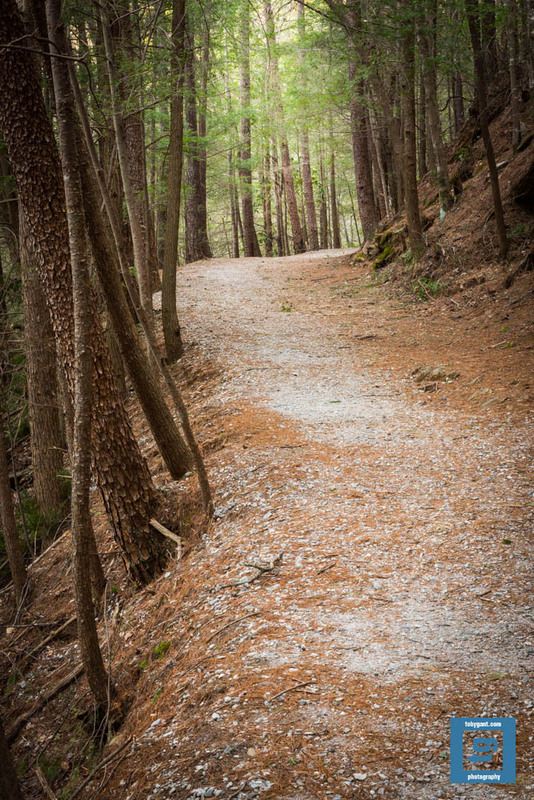 The trail leading to Dukes Creek Falls follows Dodd Creek. Almost a half mile into the hike to the main falls you have a view of these smaller falls on Dodd Creek. Personally, I preferred them to the much taller Dukes Creek Falls. But, no matter what your preference is, this site has something for everyone. I captured this image using my 70-200mm f/2.8, tripod mounted and using a circular polarizer. As always, thanks for stopping by. If there was any doubt, the spring season has arrived in northern Georgia. I’ve been spoiled during the winter months. With very little exception, I’ve been alone at most of the remote locations where I shoot. It is great when you don’t have to compete with others for real estate. It’s also a bit more serene shooting in solitude. Don’t take it the wrong way, I enjoy a pleasant conversation as much as the next guy. I’ve met many kind and considerate people with similar interests over the years. While I can say I find positives in both scenarios. I certainly do enjoy the winter months when it is usually just me and my camera. 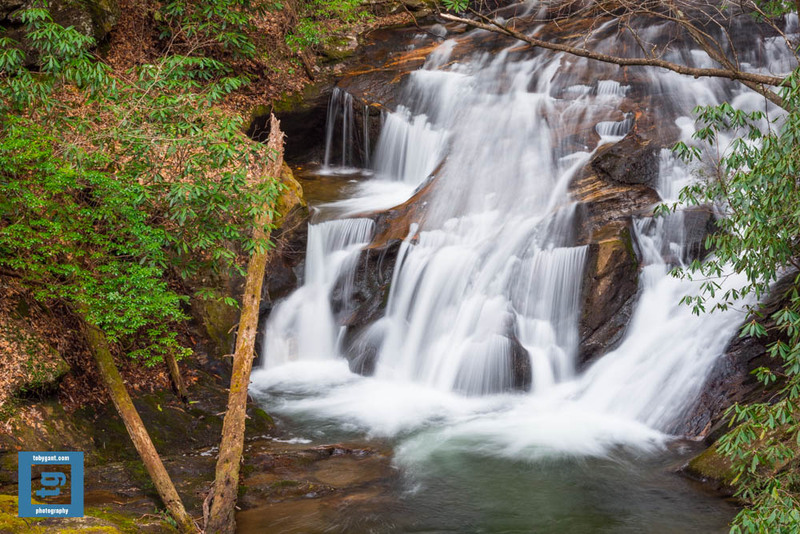 I captured this image of the falls on Crow Creek near Lakemont, GA using my 50mm f/1.4 lens, tripod mounted and using a circular polarizer. I hope everyone had an opportunity to get out and enjoy the warmer weather. (I know for certain that many of you do did. I was they guy competing with you for the only empty parking spot.) Thanks for stopping by. 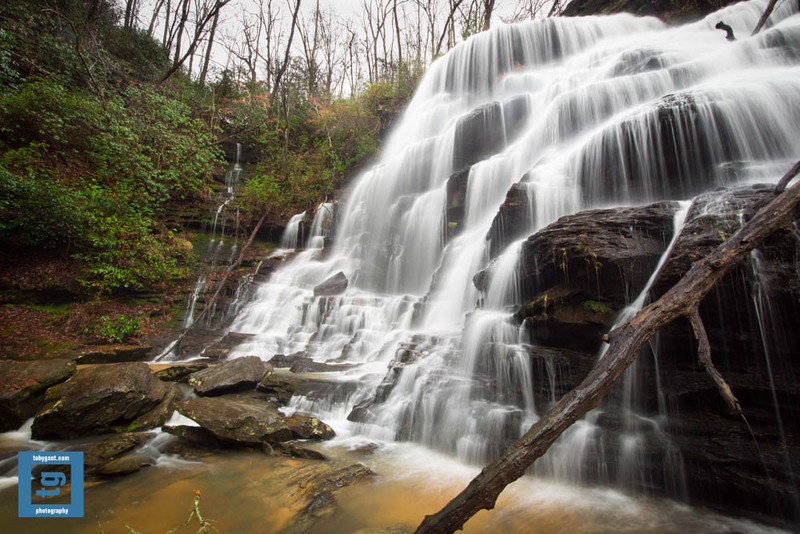 I explored the Dukes Creek Falls Recreation Area in the Chattahoochee-Oconee National Forest over the weekend. 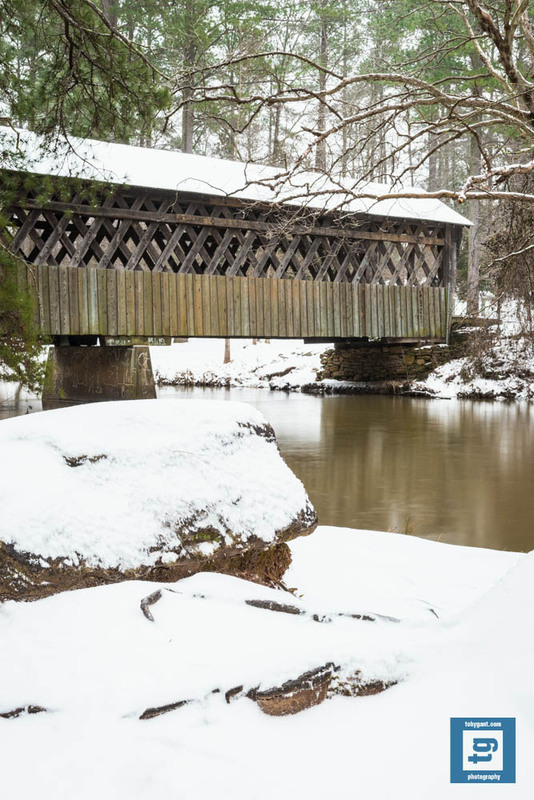 It is a scenic 1 mile hike where you walk along Dodd Creek until it converges with Davis Creek and then becomes Dukes Creek. (I hope that isn’t too confusing.) 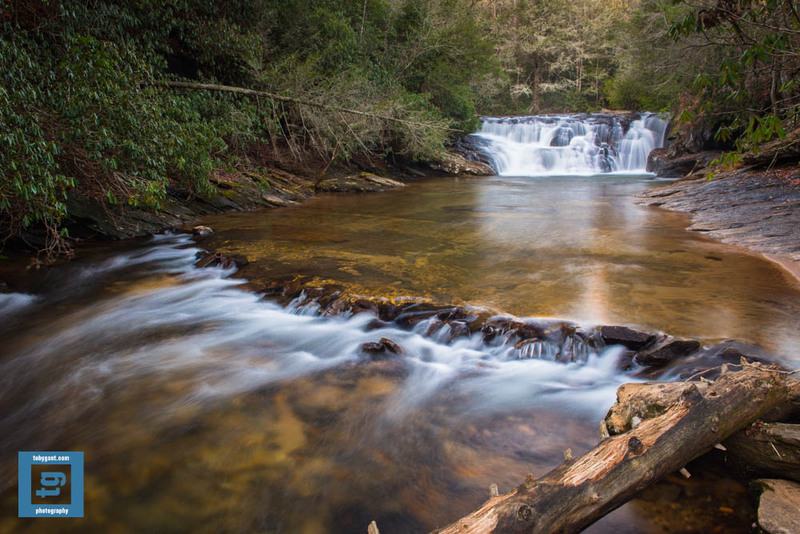 There are plenty of shoals and several small falls along the creek and Dukes Creek Falls is much taller. I hope you were all able to get out and explore over the weekend. This image was captured using my 24-70mm f/2.8, tripod mounted. Thanks for stopping by. 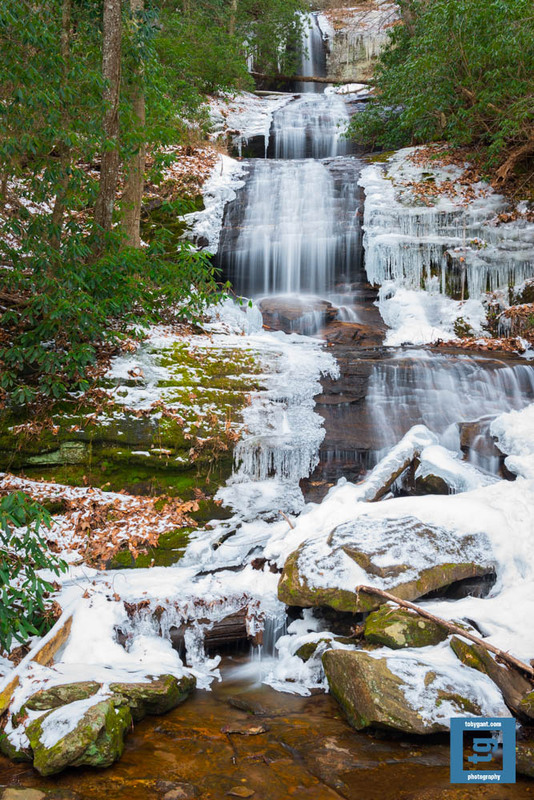 Short on time but, not short on determination, I captured this image of Dicks Creek Falls near Cleveland, Georgia well after the sun had gone down behind the mountains. It was so dark that I was hardly able to see my hand in front of my face. The exposure was just over 2 minutes at f/16, ISO 800. Sure there is some digital noise to be found if you look at the image at 150%. But, to paraphrase pro photographer Rick Sammon, if you are distracted by the noise in an image, it probably isn’t a very interesting image. I captured this image using my 16-24 mm f/4, tripod mounted. (It was so dark that I actually removed the polarizer if you can believe that.) As always, thanks for stopping by. 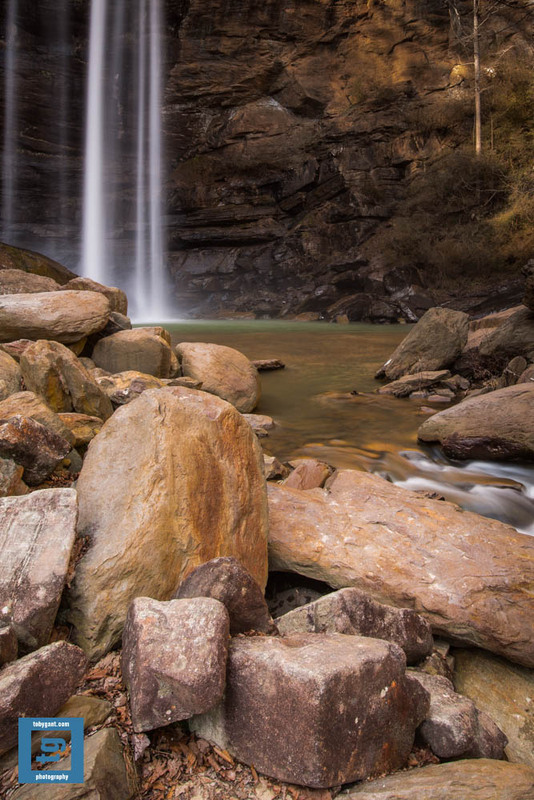 Here’s another image from Dry Falls near Highlands, North Carolina. I’m still not certain how they got their name. I suspect someone just enjoys the confusion they caused by the irony. If anyone knows how they did get their name please let us all know. 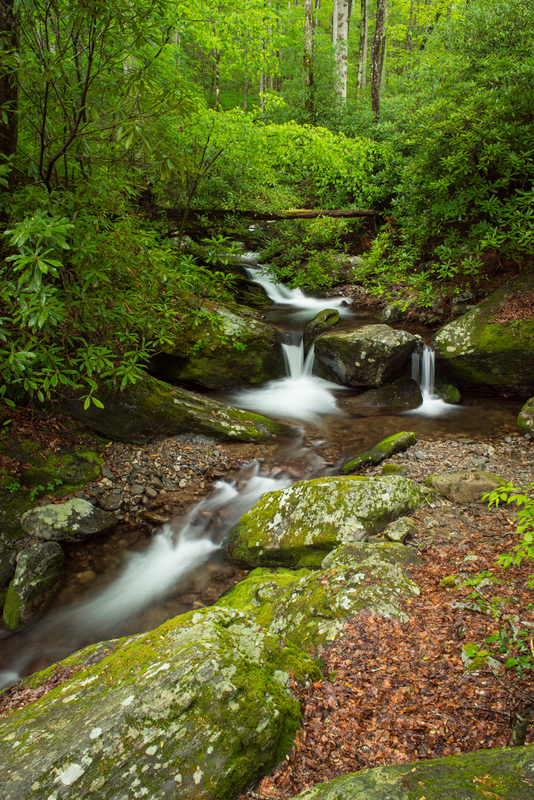 This image was captured using my 16-35mm f/4, tripod mounted and using a circular polarizer. Thanks for stopping by. 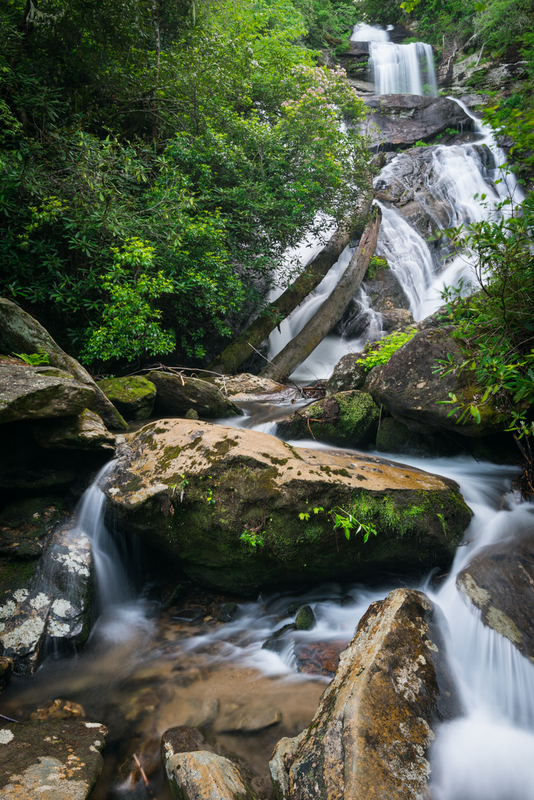 I had an incredible time exploring Yellow Branch Falls near Mountain Rest, South Carolina over the weekend. 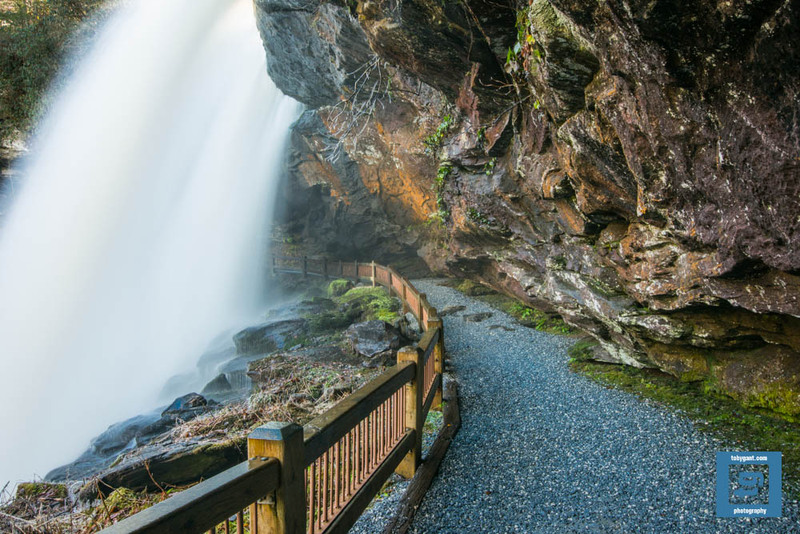 Others online have suggested taking a wide-angle lens to shoot these falls. They are right. I used my 16-35mm on my FX body and wished for a moment that I had the 14-24mm. The falls were much larger than I had expected that they would be. I had read that they were in excess of 40 feet in height. Most places include any cascades leading to or beneath the falls in their calculations. To my best estimate, that is not the case here. The face of the falls itself appears to be almost 40′. I captured this image using my 16-35mm f/4, tripod mounted and using a circular polarizer. I wish you and your families a very happy new year in 2014.